The National Association for Community College Entrepreneurship (NACCE), the nation's leading organization focused on promoting entrepreneurship through community colleges, celebrated the debut of its new book, "Community Colleges as Incubators of Innovation: Unleashing Entrepreneurial Opportunities for Communities and Students," during a training session and celebratory event at Paradise Valley Community College (PVCC) in Phoenix. Attending the NACCE book signing were Maricopa Chancellor Maria Harper-Marinick, Ph.D., and book co-authors Rufus Glasper, Ph.D., president and CEO of the League for Innovation in the Community College; Eugene Giovannini, Ed.D., chancellor of Tarrant County District in Fort Worth, Texas; and Rebecca Corbin, Ed.D., president and CEO of NACCE. 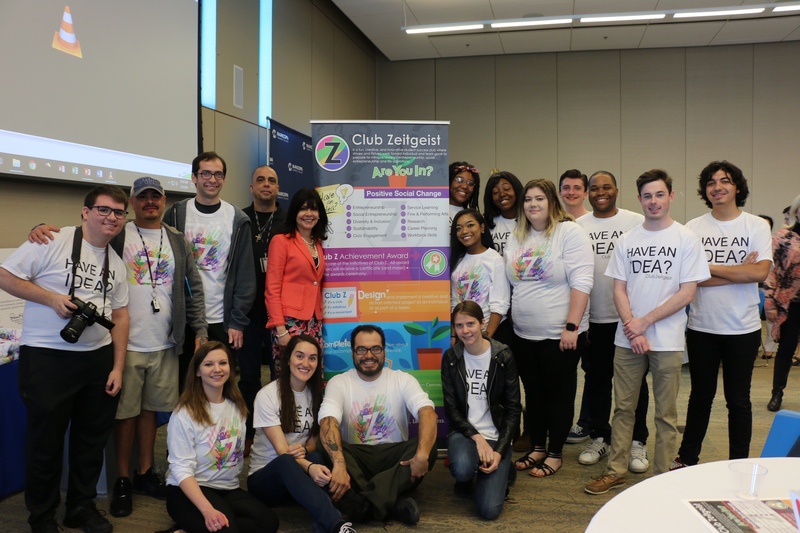 Students from PVCC’s “Club Z” planned the book-signing event and created commemorative t-shirts, which they presented to attendees. 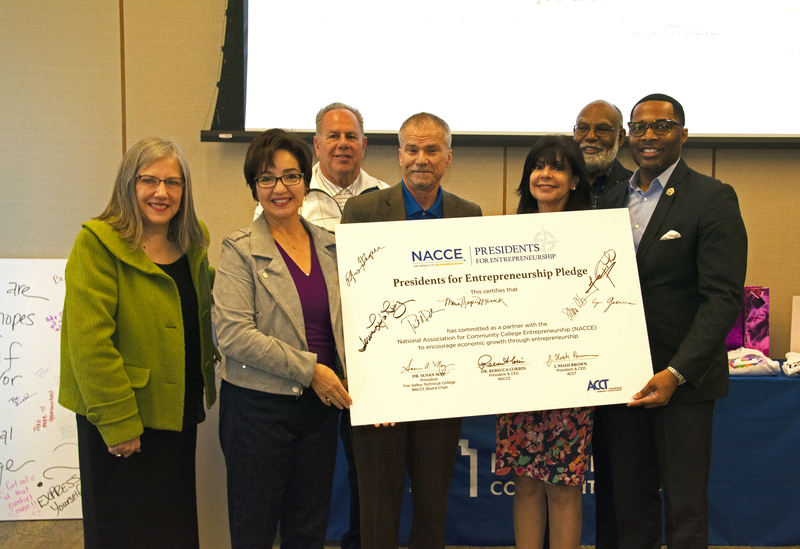 In addition to the book signing, two Maricopa community college presidents signed NACCE’s Presidents for Entrepreneurship Pledge (PFEP). Presidents who sign the pledge, commit their colleges to undertake entrepreneurial practices that boost economic vitality in their communities. NACCE is the nation’s leading organization focused on promoting entrepreneurship through community colleges, and the PFEP is one of its foremost tools. Larry Johnson, Ph.D., president of Phoenix College, and Teresa Leyba Ruiz, Ed.D., president of Glendale Community College, signed NACCE’s pledge. Hosting the celebration were Shari Olson, Ph.D., president of South Mountain Community College, and Paul Dale, Ph.D., president of PVCC, along with student leaders from Club Z. The book is co-written by community college administrators, faculty, foundation executives and entrepreneurship thought leaders. Proceeds from book sales will be directed to a scholarship fund for professional development for community college faculty and staff for entrepreneurship training. To order, click here. 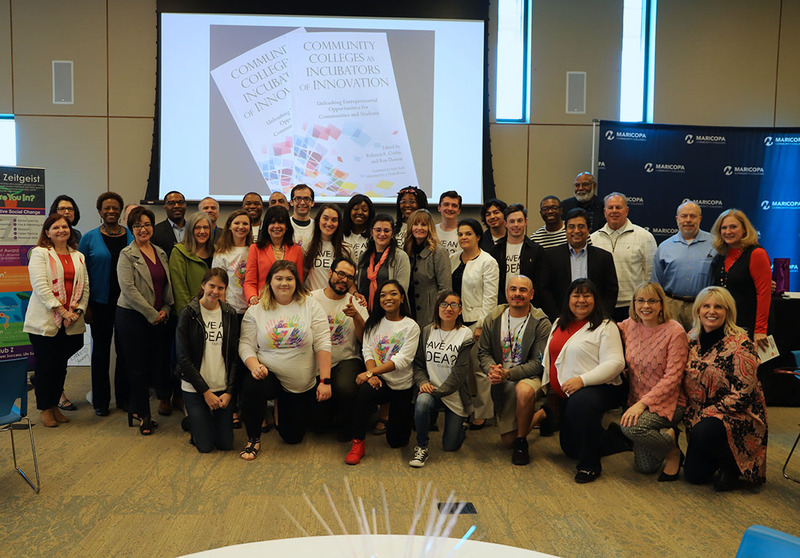 NACCE is an organization of educators, administrators, presidents, and entrepreneurs focused on igniting entrepreneurship in their communities and on their campuses. Its mission is to provide leadership and sustainable, scalable resources to foster entrepreneurial thinking and action in one of the largest entrepreneurial ecosystems in North America. The association represents 300+ community and technical colleges and 2,000 faculty, staff, administrators, and presidents who serve more than 3.3 million students. For more information, visit www.nacce.com.